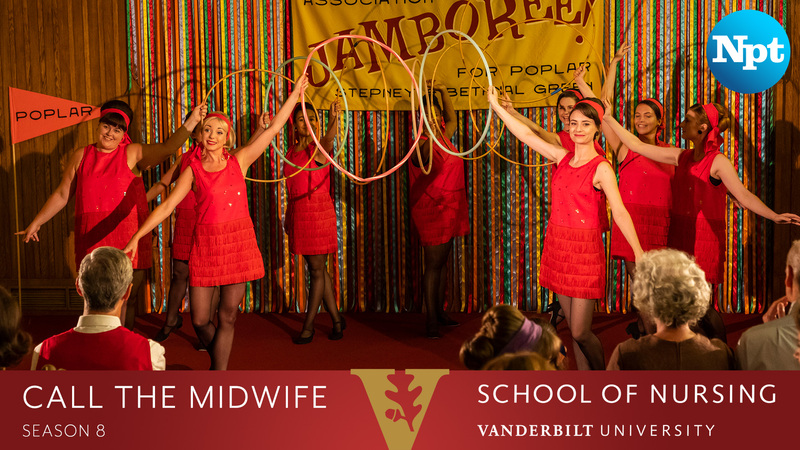 Call the Midwife is back for its eighth season and so are the faculty of the Vanderbilt University School of Nursing with a weekly guest blog. 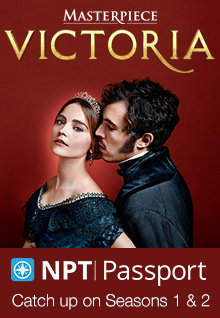 Watch the show Sundays at 7 p.m. through May 19, then read our blog each Monday morning for historical and contemporary context about the previous night’s episode. SPOILER ALERT: Some posts may contain spoilers. Call the Midwife never fails to bring tears to my eyes, but this week’s episode left me feeling extra heartbroken. Jeannie (Molly Chesworth) is a vibrant young mother of two in Poplar who struggles with an unplanned and unwanted pregnancy. Trixie and Dr. Turner both counsel her that she’ll adjust to the idea if she just gives herself time to accept the pregnancy. However, Jeannie is desperate and nothing they say persuades her against what she is determined to do. After an illegal backstreet abortion, Jeannie suffers through a horrible infection that ultimately leads to her death. Illegal abortion seems to be a recurring theme on Call the Midwife this season. It surprised me to see the show tackle this topic again so soon after seeing Kath suffer consequences of a dangerous procedure in this season’s first episode. It was obviously a serious concern in 1964 England and would be until the Abortion Act of 1967. I have a feeling we will see more on the subject in episodes or seasons to come. Another storyline that tugged on my heartstrings was that of a mother and daughter, both of whom are pregnant, who are estranged at a time when they need each other most. Enid (Niky Wardley) does not approve of her daughter Cilla’s (Hannah Hutch) marriage to Indian immigrant Pardeep (Omar Malik). Enid wants the best for her daughter, but she is blinded by her prejudice. Mother and daughter are thrown together when they end up in the maternity ward due to pregnancy complications. To me, this episode isn’t about illegal abortion, family feuds or complicated pregnancies. It is about women needing support in pregnancy; support from family, medical providers and the community. Pregnancy can be the happiest, most meaningful time in a woman’s life; but it is also intense and terrifying if you are alone in your worry or fears. Jeannie, Cilla and Enid are all in serious need of support throughout the episode. Fortunately, Sister Julienne is able to help Cilla and Enid reconcile in the end, but Jeannie never got the understanding she needed, despite the caring efforts that were made. In my years as a midwife, I have spent a great deal of time listening and being present with my patients. I think one of the greatest strengths of our profession is patience and compassion. I spend a large amount of my time sitting with my patients, listening to their fears, concerns and hopes. I’ve cried with patients and been there when family members couldn’t be. Being present and offering support through the happy, the challenging and the tragic times ‒ these simple acts make such a difference. I love how Call the Midwife demonstrates this support for the families of Poplar. 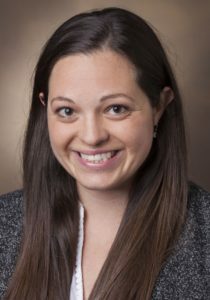 Hannah Diaz, MSN, CNM, is a member of the Vanderbilt Nurse-Midwives & Primary Care for Women at Melrose, the clinical practice of the Vanderbilt University School of Nursing. Taste of Home, the 12th documentary in NPT’s award-winning Next Door Neighbors series, premieres Thursday, April 25, at 8 p.m. The documentary will also be broadcast on Wednesday, May 29, at 1 a.m. and will be available for online viewing at ndn.wnpt.org/documentaries. This edition of Next Door Neighbors highlights members of Middle Tennessee’s Ethiopian, Palestinian and Venezuelan communities. But this is a different kind of Next Door Neighbors production; this is a story of the role food plays in keeping people connected to their home countries, while also helping them form bonds in their new locations. Producer Shawn Anfinson said the idea to use food as an entrée (so to speak) to exploring cultures came up in a conversation of possible documentary topics. “Food is always there. Wherever we’d go to meet someone or attend an event, they’d be eager to feed us,” Anfinson said. “That gave us an opportunity to show gratitude, not just for their hospitality, but also for their stories.” Anfinson’s previous Next Door Neighbors documentary was 2018’s Between Two Worlds, about Middle Tennessee’s Indian, Chinese and Filipino communities. Fidel Vasquez and Ivon Reyes, owners of Caracasville at the Nashville Farmers’ Market, are among the Venezuelan natives featured in Taste of Home. As they and Cisneros they tell their stories, viewers see them prepare such traditional Venezuelan dishes as pabellón criollo and arepas (sandwiches made with a warm, chewy cornbread). “We can bring people around the table from different backgrounds and we all can agree, you know, on the same values we share here, being neighbors, living in the same community,” says Nadia Owaida Crank, FCC’s program coordinator, near the end of Taste of Home. NPT’s Next Door Neighbors: Taste of Home is made possible by the generous support of The Nissan Foundation. NPT’s Next Door Neighbors series looks at Nashville’s status as a destination city for refugees and immigrants and explores the rich diversity of people now calling Nashville home. Through documentaries, extensive outreach and continued relationships with Nashville’s immigrant and refugee communities the Next Door Neighbors project aims to increase understanding of unfamiliar cultures, highlight the experiences and successes of Nashville’s immigrants, and mediate a community-wide conversation about who we are as Nashvillians. Sometimes as I watch Call the Midwife I think not much has changed. Other times, what I am watching is so utterly foreign that surely it could never have happened that way, though history tells me otherwise. Such was the case with this week’s episode. We saw a young mother, hyper vigilant about her child’s health, who was tortured by the memory of her first child’s death in infancy. To be clear, women never, ever forget the details of the births they have experienced. Studies have shown that well into advanced age, women can recount the fine details of the births they have had, and particularly the details of births wherein they encountered significant emotional distress. Discussing death ‒ particularly the loss of a child ‒ has historically just not been something that was done. Throughout time, women have suppressed and then carried the burden of deeply buried grief through their entire lives. In years past, babies born with genetic syndromes or anomalies (birth defects) that were considered to be incompatible with life were separated from their mothers at birth, placed in cribs at the back of the newborn nursery (or in a separate nursery), and left alone until they died. Mothers were “not allowed,” nor encouraged, to spend any time with a baby whose life was predicted to last only hours or days. Babies died alone and devoid of ever knowing a mother’s touch. Mothers left hospitals with empty, aching arms, without as much as the memory of a touch, a glimpse, or the scent of their newborn to comfort them. Fortunately, time has brought change. We have evolved from the notion that speaking about perinatal loss is taboo to having perinatal hospice services. Multi-disciplinary hospice services provide support for families who have been given the prenatal diagnosis that their baby has a condition incompatible with life. There are now protocols and policies in place for women who give birth to stillborn babies or those with very short life expectancies. These babies are respectfully bathed and dressed in gowns often made by the loving hands of volunteers, or donated by organizations like the Littlest Angels Gowns, which turns used bridal gowns into infant burial gowns. We prepare memory boxes for the family containing locks of hair, pictures, hand- and footprints – anything tangible that will ease their pain in the days and years to come. Professional photographers volunteer their time and talent to photograph these precious little ones and their families to provide the first, and last, portraits the family will ever have through organizations like Now I Lay Me Down to Sleep organization. 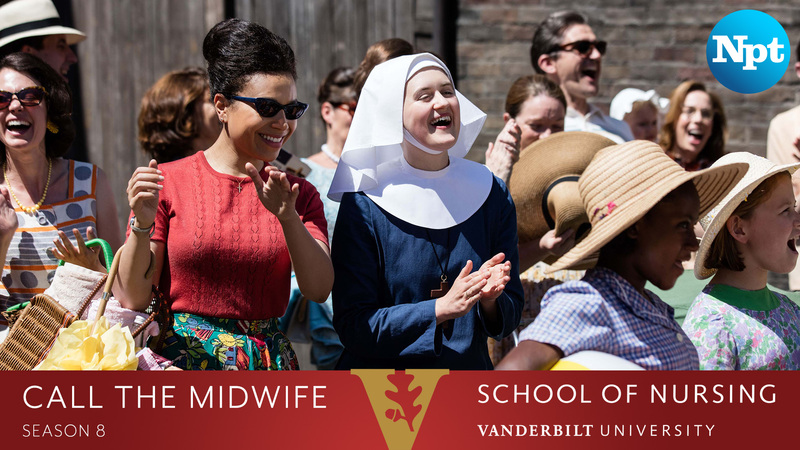 After an emotional and dramatic first episode of the season, Call the Midwife continues to highlight heart-wrenching storylines in both physical and mental health. Episode 2 opens on a loving Ghanaian family that has recently gained British citizenship. As the episode progresses, we learn that the Aidoo family all suffer from a genetic condition known as sickle cell disease (SCD). For Flora Aidoo (Jessica Kennedy), this is a serious concern during pregnancy and labor. Even today with our knowledge of the disease, Flora would have been considered a high-risk pregnancy. Among several other concerns, we midwives worry about anemia and blood loss – both of which Flora experiences. Trixie (Helen George) and Dr. Turner (Stephen McGann) work through their limited knowledge of SCD and Flora receives a life-saving blood transfusion. It was nice to see this familiar collaboration between a midwife and a physician. Today, this is a common occurrence – midwives communicate closely with our physician colleagues to treat higher risk patients. I was also struck by Dr. Turner’s frustration when he realized there wasn’t adequate information to help him care for the Aidoo family. As a medical provider, it can be maddening to recognize a problem and not know how to solve it. In 1964, little was known about sickle cell disease in the medical community. The first formal description of SCD was published by James Herrick in 1910; sadly, it would take decades for progress to be made. It wasn’t until 1995 before the FDA approved a medication, called Hydroxyurea, to treat the painful complications of the disease. 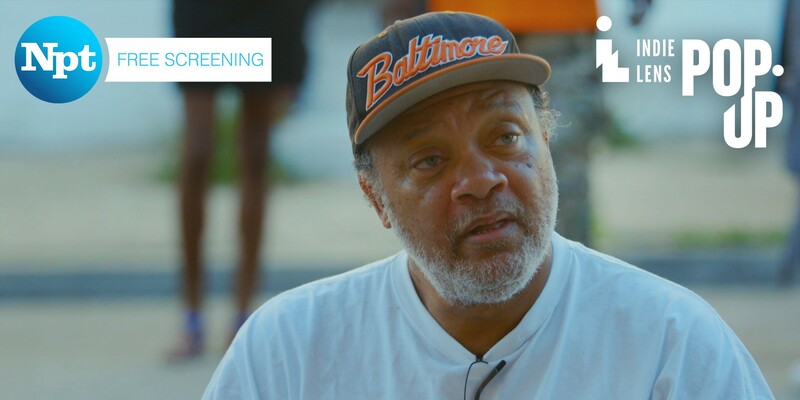 At first, SCD was thought to affect the African population only; it was many years later that researchers determined that while people of African heritage are at greater risk, any ethnicity could be a carrier of this molecular disease. Thankfully today we can screen patients for sickle cell disease and provide them with helpful management and treatment. We are always learning in medicine. As midwives, we strive to keep up with the latest evidence and ensure we are using the most current guidelines to give our patients the absolute best care we can. We also have a great resource in our collaborating physicians for high-risk issues. While it took far too long to make any advances in our understanding of SCD, the disease is now recognized as a public health challenge and there are ongoing efforts to improve palliative care and seek a cure. Mark Twain’s bon mot rings true in this season’s first episode. The year is 1964, and Poplar is abuzz with the anticipation and excitement of a royal birth. Just as the world eagerly awaited Queen Elizabeth’s delivery of her fourth child, the arrival of Prince Harry and Meghan’s royal baby this spring incites a similar level of interest. This Call the Midwife storyline deals with another issue that is as topical now as it was then. Elective termination of pregnancy was illegal in 1964. 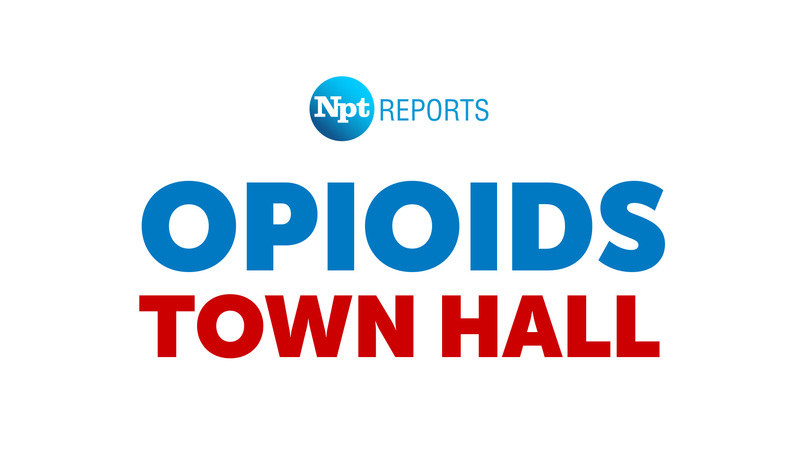 Women would seek out unskilled (and often dangerous) “practitioners” who used a variety of methods, which included crude instrumentation or the ingestion of substances like Epsom salt, pennyroyal, or turpentine. 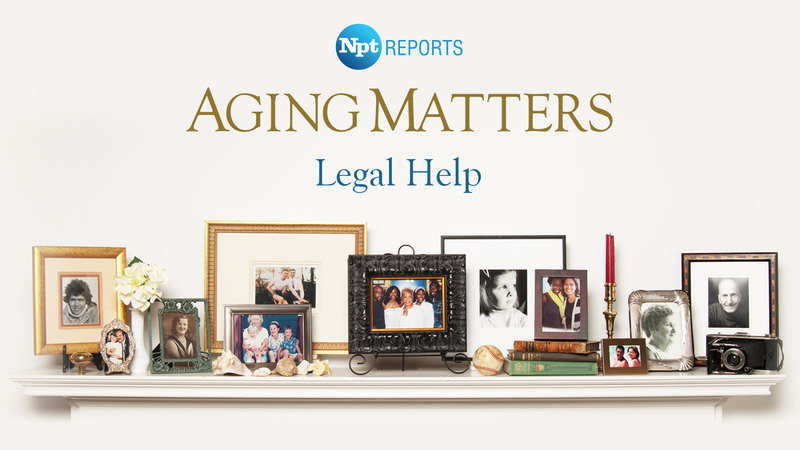 As happened to the woman in this episode, these options often resulted in significant harm, complications like severe infections or hemorrhage, or even death to the woman. 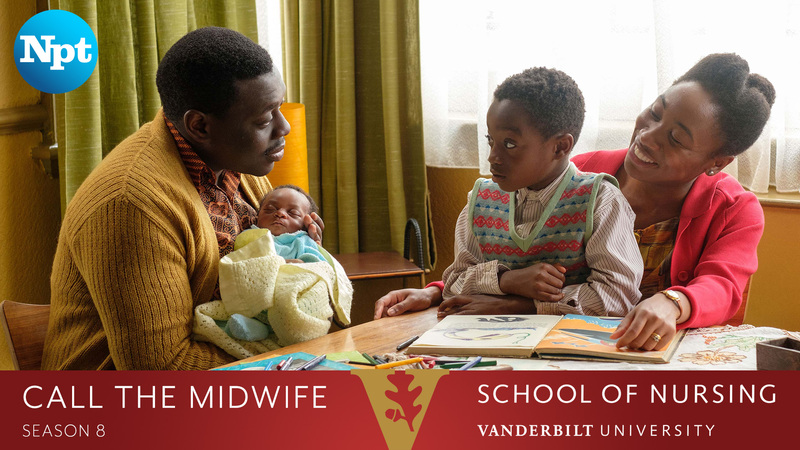 The history of midwifery has always included care of the most vulnerable; a legacy that we are proud to carry today. The midwifery model of care is not one of patriarchy (which is characteristic of the medical model of care); rather, it is relationship-based. We walk side by side with our clients regardless of their circumstances, delivering care that is holistic, compassionate and non-judgmental. The women of London’s East End knew that then, just as our clients know that today. The issue of elective termination has been debated since the dawn of time ‒ literally. Midwives have long stood passionately on both sides. It is not uncommon for nurses, physicians and midwives to face ethical situations wherein personal morals and convictions are put to the test. As I’ve written before in these posts, it’s easy to “armchair quarterback” other people’s decisions; in reality decisions are usually less black-and-white when you’re in the middle of the pain, angst and despair that life sometimes brings. Jennifer Worth’s voice-over at the start of the episode notes: “Every day dawns anew; every morning begins afresh. We seek to be cleaner, brighter, more polished versions of ourselves. We will be better. We will be beyond reproach. We will strive to be perfect, leave nothing to chance, and believe everything is possible.” None of us has the answers to life’s toughest questions; the best we can do is to strive to be better versions of ourselves, every day – caring for each other regardless of our circumstances. 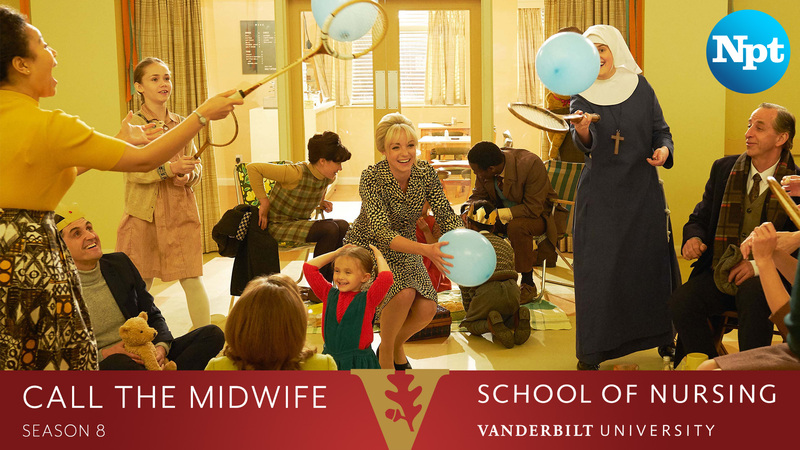 Season 8 of Call the Midwife begins Sunday, March 31, at 7 p.m. on NPT and continues weekly through Sunday, May 19. 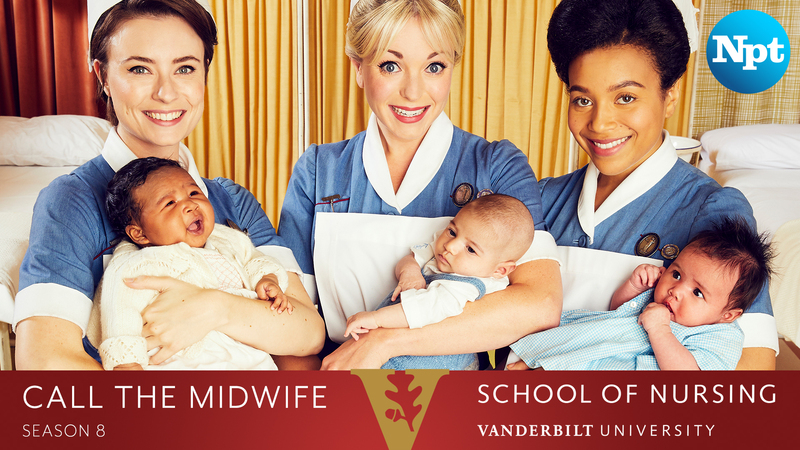 Vanderbilt School of Nursing midwife Michelle Collins returns as a guest blogger, joined by fellow VUSN midwife Hannah Diaz, to write weekly recaps adding historical and contemporary context to each episode. Look for their posts Mondays at 8 a.m. The new season begins in the spring of 1964 and there’s big maternity news: Queen Elizabeth II is expecting her fourth child (Prince Edward). Meanwhile, two new Sisters arrive at Nonnatus House and the nuns and nurses face a new round of births, mothers and family dramas unfolding in Poplar. England’s changing demographics are addressed in an episode about Ghanaian immigrants and in a later show, a man experiences sympathetic pregnancy symptoms. A series of guest-written gardening blogs to inspire fans of NPT’s Volunteer Gardener and anyone looking for tips and ideas for happier, healthier gardens. March is when we start seeing signs that spring is near. It is when gardeners begin champing at the bit to get outside (if they weren’t already) and get their hands dirty! There is good reason for this: the vernal (or spring) equinox, the astrological beginning of spring in the northern hemisphere, happens in March. Our part of the earth begins its tilt toward the sun as nature begins to awaken around us with the lengthening days. In March you can also get a jump on the coming growing season by starting seedlings indoors. Here’s how. Fill your trays with the potting medium. Give them a tap to make certain there are no air pockets. But don’t overstuff them; the tiny roots need room to breathe! Follow the directions on the seed package for planting depth. Remember that some seeds need light to germinate (surface sown) and others need darkness. Label the varieties with plant markers. Water very carefully and gently. Place the clear plastic humidity dome over your tray. Place the completed tray on a germination mat near a sunny window or under grow lights. Check your trays every day and keep them moist. When the seeds begin to sprout, remove the humidity dome. When the seedlings have their first set of true leaves, remove from the heat mat and keep watering. 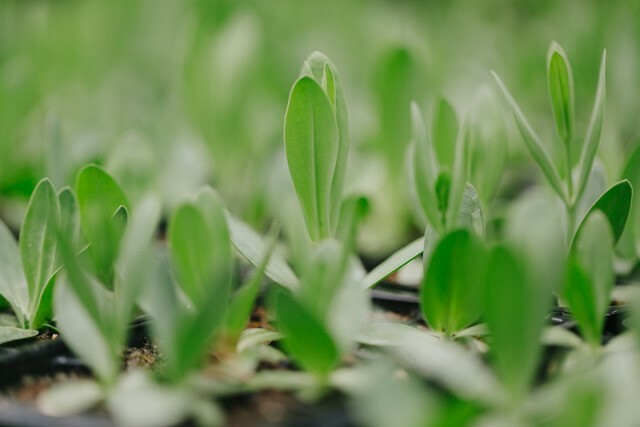 Watch in wonder as your seedlings stretch toward the light and begin the miracle of photosynthesis, growing more each and every day! You will be tempted to plant out these beauties on the first warm day, but please refrain from doing so! Our last average frost date in Middle Tennessee is April 15, but that is just an average. In this part of the country, the received wisdom of our grandparents is not to plant any tender annuals until after Mother’s Day. If in the interim your seedlings begin to outgrow their seed-starting trays, you can bump them up to slightly larger individual pots. Better a little extra work then a bunch of dead, frozen seedlings! I find this process endlessly inspiring and I hope you will, too! 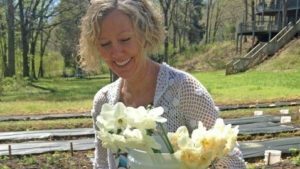 Laura Bigbee-Fott is a Davidson County Master Gardener. She owns Whites Creek Flower Farm and runs a floral event and wedding design business called Everything Blooms.